Ikea Arcade Stick - Mini Edition Teaser! Ikea Arcade Stick V2 - Shiny Shiny! When it comes to art, I am the most indecisive human alive. This is why I've never had a tattoo, despite spending the best part of a decade drunk. So the styrene sheet goes down over the naked plywood for now. It will protect the surface while I decide what to do, and it still looks nice enough. Much has happened since last we spoke! My new hardware order from Arcade Shock took a little longer than anticipated, but work was swiftly resumed on the other side! Pebble Pay - Passive, waterproof, NFC banking. Several years ago my bank started rolling out a NFC payment system, which included a great phone app for Android phones. If you had an iPhone however, you were out of luck as they didn't carry the requisite hardware at the time. So the bank released these two dollar, tokenised NFC "Pay tags" to stick to the back of the phone. I had a compatible android device, but these tags were just the best thing ever. I immediately put one on my watch! New 3DS C-Stick Mod - The only way to play Monster Hunter! Back in the PSP days i wasn't much of a fan of the Monster Hunter series. A friend showed it to me, projecting that almost overpoweringly emphatic gusto any seasoned player does to potential new teammates, but i couldn't get my head around the contorted control scheme required (affectionately referred to as "the claw" by people who actually LIKED it!). Now that i finally "get it", having spent well over a thousand hours on the series since the release of Tri, it's almost serendipitous that the solution to the New 3DS's slippery control scheme comes straight off of the front of that stalwart PSP. The Ribba stick is finished, and it's been getting loads of play time, but I've already had some new ideas kicking around my head. My new donor PCB's arrived care of eBay, and they're exactly as cheaply made as you'd expect of knockoffs. In comparison, the official CCP is a thing of beauty. Since the previous entry i've decided to optimise the build slightly, shedding the two separate wiimote bulkheads by integrating them into the front and back "wall" sections. Two fewer pieces, much improved! With the Lucario Fight Stick finished, it's time to move on to my "Player 2" build (for lots of Virtual Console co-op fun!). I was considering going with another intensive Pokken character build, but i wanted more time to think about the next case style for that. But, as a gift to "the people", i've decided to try my hand at a cheap, easy to build stick which uses Ikea parts to present a high quality finish without the usual skill requirement. It features replaceable art, has no visible screws, requires only the most basic of tools, and all it takes is a sheet of 7mm plywood and a picture frame! Total cost of materials was about $15. Wii U Fight Stick - Fin! Yesterday I blew my nose and the result looked like an electric blue Rorschach test. The lesson here is to always wear a mask when using spray paint! I didn't make the same mistake with the black. Sorry for the lack of progress here, i've just returned from my brother's overseas wedding in Bali! It took a couple of weeks out of my build time to reorganise things at work to accommodate, but now we're back on track. While i worked on some techniques for laying down the paint layers, i took time to create the slot for the wiimote and fit the newly required extra three buttons (+, -, and home). The 24mm buttons are on the right side, out of harms way. The holes are cut and the wiring is finished, but my order of Seimitsu PS-14-DN-K's is still en route from the UK (faster, cheaper than from the US). They'll be great. This watch is a strange blend of Japanese and Bauhaus design, wrapped tightly around the venerable 7s26 Seiko movement. It's tiny, but wears large. It mixes minimalist industrial design with the zen of a raked gravel garden. It has cantilevered, diving board hour markers! After a solid day of curing, it was finally time to take the wraps off the case. The very literal "make or break" part of this project was always going to be in curving the plywood skin over the skeleton. A 50mm curve is pretty tight for 3mm ply, and the risk of splitting is very real. But after an overnight soak in the bath tub, and fifteen minutes of slowly forming the bend, i managed to get it tight against the ribs and clamped down. I've been getting home late from work this week, and all of my neighbours seemingly have newborns. This has seriously dented my ability to run my table saw without feeling like a massive jerk. So i went oldschool, wasted a huge amount of time, and did things quietly with hand saws... and so many clamps! Since picking up Pokken Tournament, i've been meaning to get a fight stick. But since the Wii/Wii U specific ones are impossible to find locally, generally small, and a bit cheaply built, i've decided to take matters into my own hands. Compared to things like my MK8 Pro Controller this is tame, but ultimately more practical! When i moved out of my last apartment after several years of tenancy (i don't. do. moving. ), the wall behind my bed was looking worse for wear. While repainting the entire apartment more than addressed the problem, i vowed to class it up at the next place. But when you're renting, and your bed frame is a two-piece ensemble, how do you make a headboard work without damaging the wall? Like most renters, i just went crazy with Velcro command strips! If you've ever come across #fitspo on Tumblr, this one is for you. 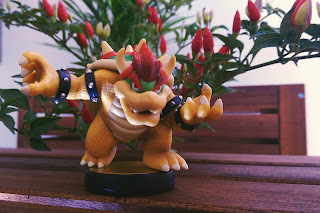 The Bowser Amiibo is really, really good! It has good detailing, the modelling is spot on, and it weighs a tonne! He's a boss. The themed photos continue! This time i wanted to capture my entire play-style with Pikachu, which is spamming thunder relentlessly until i'm knocked out. 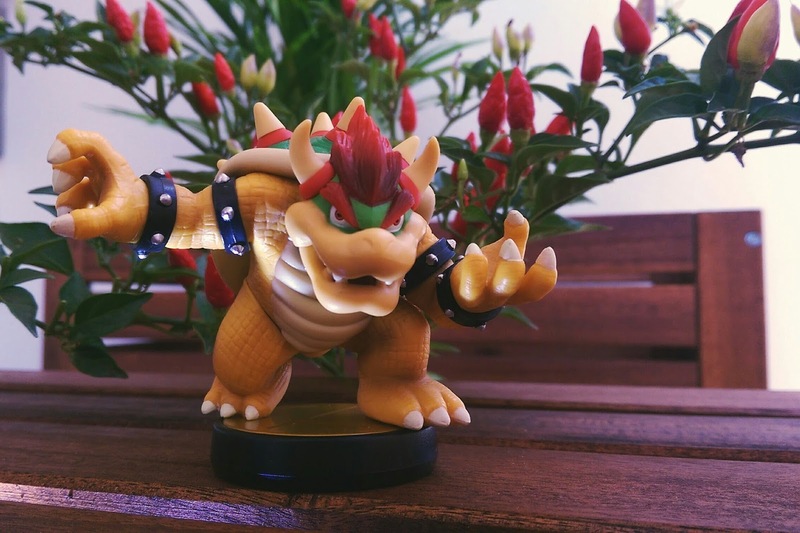 This is an archived repost of an article i wrote for Nintendo Enthusiast in May 2013. Since then, we've seen the New 3DS adopt the head-tracking mentioned, and Splatoon proved that gyro aiming is indeed fantastic! The Wiimote was a revolutionary controller. It broke gaming free from dual analogue control, provided a gateway for “non-gamers” to enjoy the pastime, and managed to advance the gameplay of many genres. With the introduction of the Wii U, the lack of a pack-in Wiimote means potential support is diminished, but could the gamepad possibly fill some of that void? Time Less - Seiko SKX009 "Planet Seiko"
As a child i was crazy about cars, and i would pore over every car magazine my dad would buy. I would re-read decade old issues, and ended up with a collection of a few hundred issues of CAR and Evo. 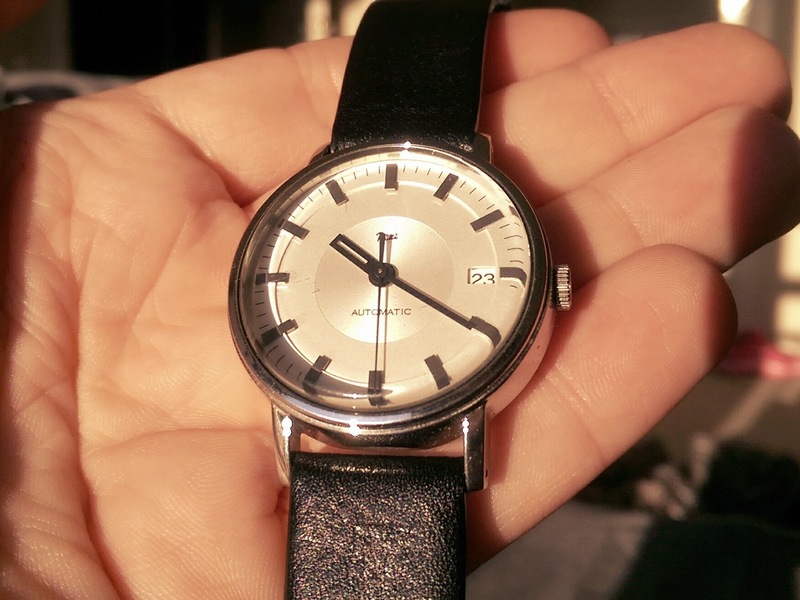 I also relished the fancy watches, advertised alongside all of that hot metal. One of the few really sunk its hooks into me was the orange-bezzled Omega Planet Ocean. 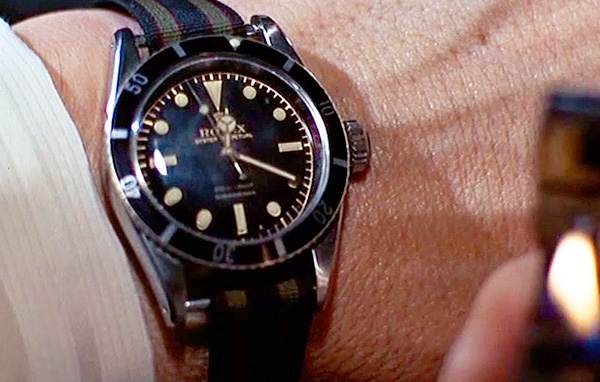 It screamed sporty, overt masculinity; to me it was the Lamborghini of watches. I would later go on to incorporate this theme of orange and steel blue alongside metallic neutrals into my industrial design degree theory as "man colours". In the olden days of industrial design, before everything was drawn digitally, you had to use coloured markers to draw concepts. Expensive coloured markers. And as most design students have no money, you had to very slowly, very carefully add to your box of tools. Time Less - Seiko SNZH57 "Fifty Five Fathoms"
"Time Less" is about the reasonably priced, incredibly well built and designed watches i've collected and modified over the years. 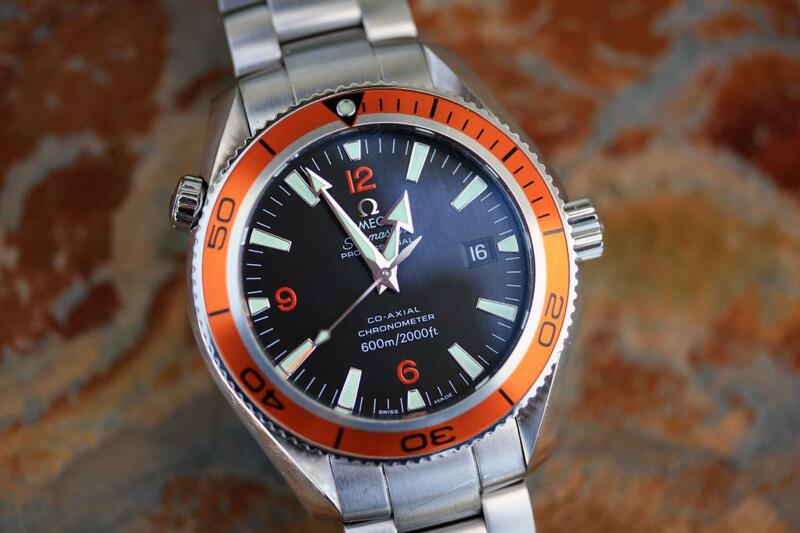 While i do fawn over things like a good Omega or Panerai, there's just something more personal about these cheaper offerings. This was the first stick of Ikea furniture i bought for the new house, and a fitting swansong for the almost extinct Expedit. Off with it's head! Pokken Tournament is my fighting game gateway drug! When it comes to racing simulations or shooty games, i'm right up there at the pointy end of things. But my misspent youth barely grazed the surface of fighting games, leaving me languishing as a dirty, button mashing casual. Ah what, he READ me?! If you want to spice up your PTR with one of those fancy Seiko bezel inserts, you'll need a way to stick it on as they don't come pre-applied with adhesive. There are quite a few options available, and a couple which aren't. Let me steer you in the right direction here. Another day, another option for customising the look of the PTR! The house we're renting at the moment has a very poorly lit en suite. It's served by two tiny energy saving bulbs which take far too long to warm up, and they're set so far back from the mirror that the only thing you can ever see is your silhouette. 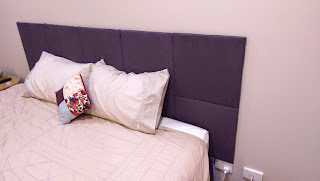 Ikea hack to the rescue!